SEGA have decided to show off new gameplay footage for Team Sonic Racing, their highly anticipated team-based racing title that allows players to take all their favourite Sonic characters onto the race course. Players can race and win together in online multiplayer and local co-op modes, utilizing the dynamic team mechanics and vehicle customization features as they dash to the finish line. 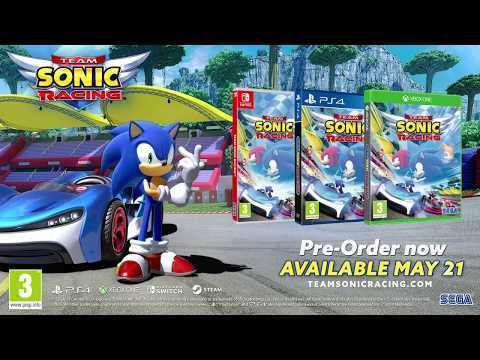 Team Sonic Racing is set to release on May 21st 2019 on Windows, PS4, Xbox One and Nintendo Switch.